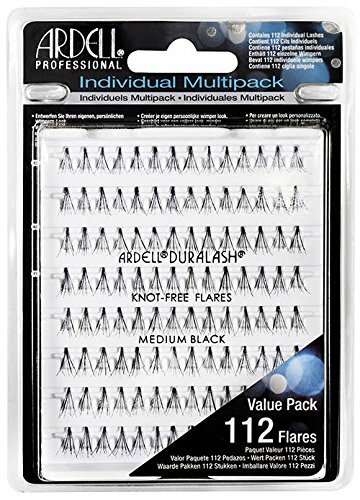 Transform your eyes with fun and flirty Ardell Individual Multipack Knot Free Medium Black Lashes (112 count). 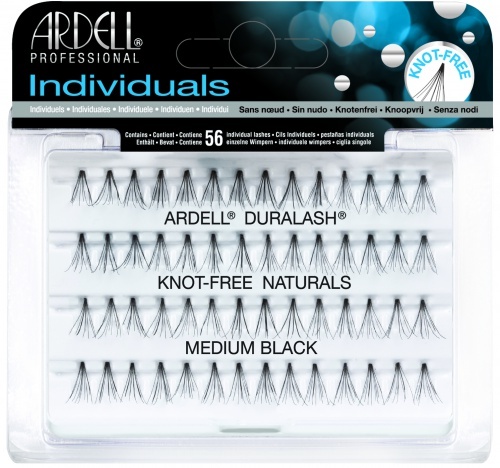 Ardell Individual Multipack Knot Free Medium Black Lashes are KNOT-FREE, weightless, waterproof, and absolutely easy to apply. The new individual multipacks contain twice as many individual lashes as the regular individual lash packs. The multipacks are convenient for makeup artists who put lashes on multiple clients and avid individual lash wearers. 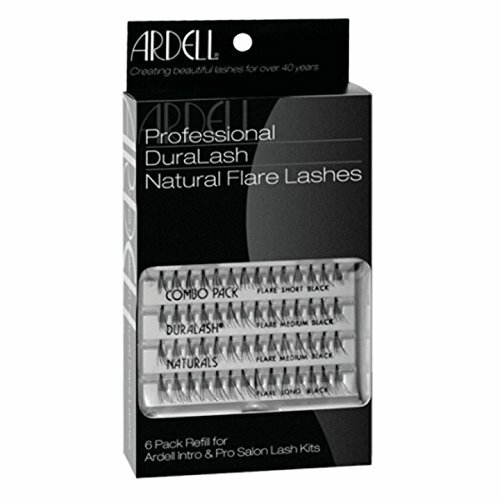 Thoroughly clean Ardell Duralash Naturals Individual knot-free Lashes and eyelids so they are make up and oil free. Lift an individual lash from the tray with tweezers and dip into the adhesive. Start at the center of the eyelid and work outward. Return to center and work inward until lashes blend. these are a great alternative to apply to someone who isn't sure about false lashes, they are also very easy to use.